Raymond Weil watches are always surprising, and never dull. Their designs are fresh…even the traditional ones. They constantly manage to throw in unexpected details, which peak our interest, and that is one of the reasons this watchmaker has been able to come on the scene so late, and become so successful. One of their more traditional lines comes in the form of the Don Giovanni Collection. 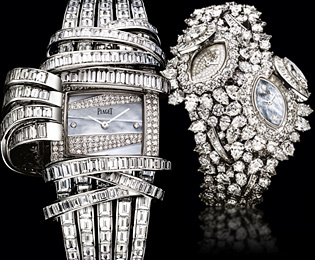 This collection of watches is all about old world glamour and elegance. The softly shaped square and rectangular dials in this collection are reminiscent of the refined timepieces of yesteryear. In true to form, Raymond Weil style, these watches have something extra. They are layered with luxurious materials, and textured in such a way that you stop and take notice. Every last detail is taken into account, and the end result is modern and fabulous. Some of these creations are adorned with brilliant diamonds, while others stand out because of their distinct design. These men’s and women’s Don Giovanni’s are flawlessly finished, and all Swiss made. 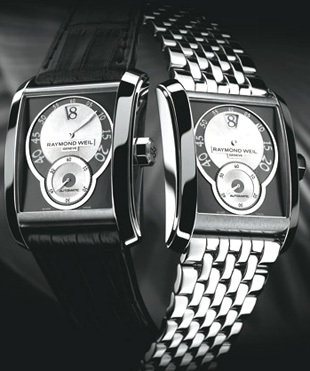 Raymond Weil creates all their timepieces with a real dedication to integrity and quality. Get to know the Don Giovanni collection, and all the Raymond Weil watches, soon. It’s definitely worth you while! Movado has staying power that’s huge. This luxury watchmaker has been around for over 125 years, and is still going strong. Why? Movado has kept to a very similar artistic style all these years, and that’s because they’re brilliant. Movado knows what works and doesn’t waste time trying to change our minds with fads or trends. They, simply…keep it simple. The Movado name means “always in motion”, and that has been what Movado watches have always done. Reliability is never lacking in these fine timepieces, and neither is style. From their Museum line to other famous Movado collections, the artistic influence is a strong presence. Movado watches have gained much attention, and over 200 international watchmaking awards for excellence and innovation, and their designers have received more than 100 patents for their exceptional efforts. Even the men’s Movado watches have a delicate look and feel, but here is one of the ladies Movado’s. 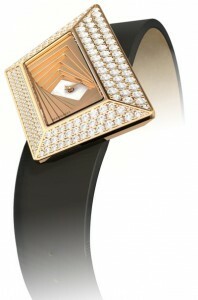 The Bela women’s watch is like a lovely piece of jewelry. The classic round Movado clock dial sits exquisitely on a thin, bangle style bracelet…neither overpowering the other. The face comes of the Bela comes in traditional black or a beautiful, pale pink, just gorgeous! It’s amazing how Movado can create one fantastic design after another. If you’re searching for a beautiful and well-made timepiece, look no further than Omega watches. Omega is a trusted name because they consistently create precision watches. One of their newest additions to their Constellation line is a watch I believe you will adore. The 123.18.35.60.001 Constellation Quartz 35 MM women’s watch by Omega is stunning. 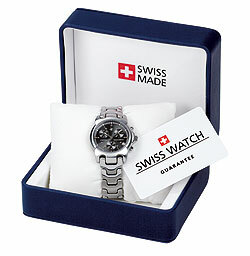 This watch features Quartz precision movement and is finished with a rhodium plating. It has a power reserve that will endure for up to 25 months, but you don’t’ have to count the months…Omega has place an end of battery life indicator for your convenience. The case is shiny stainless-steel and this watch comes with a domed, scratch resistant sapphire crystal, with an anti-reflective coating on the inside. Of course, the Constellation is brightened by sparkling diamonds encircling the dial, and also in graduated sizes as hour indicators. This Omega watch is Swiss made precision quality, but what drew me to it is the beautiful deep eggplant color that Omega has presented it in. The bracelet is purple alligator leather, and Omega has matched the dial in the same color. It’s truly a stunning combination to me, but if purple isn’t your taste, you can pick this Omega watch up in teal blue or snow white…all gorgeous. The actual, real Porsche family must be large and generous because members recently donated 49 women’s luxury watches and men’s watches to London-based auctioneer Bonhams. All proceeds from these sales will go to benefit the Oncology Research Department of the Robert Bosch Hospital in Stuttgart, Germany. If you look at the Porsche logo you’ll notice that the name Stuttgart is emblazoned on it; that’s because although many people may mistake this luxury automobile manufacturer to be Italian, its origins are German and the company is based in Stuttgart, Germany. Some of the luxury watches that were sold came from well-known brands like Panerai, Eterna, Audemars Piguet, Jaeger LeCoultre, Breitling, Omega Watches and even some from the watch branch of Porsche called Porsche Design. The estimated total value for these 49 watches is about $170,000. Panerai watches are some of the most coveted in the watch industry. They are not mass produced and only recently have become commonly available in the U.S. Their extra large faces and simple, classic designs have made them extremely popular men’s watches. TAG Heuer is the one watch brand that has a partnership with Porsche and produces a Carrera and Grand Carrera line. Panerai has a partnership with Ferrari, while Breitling and Bentley have joined hands. Breitling is a brand that has been around for a long time and although started out and remains dedicated to producing men’s watches for aviation pilots, Breitling watches have become quite the status symbol as well. Audemars Piguet, Omega watches and Jaeger LeCoultre are other brands which all have strong footing in the luxury watch world and will be hot items at this auction which takes place on December 2, 2009. Aside from luxury watches, there will be other items for sale; the full list totals 280 items. Although the auction will take place in London you can register online at Bonhams.com. 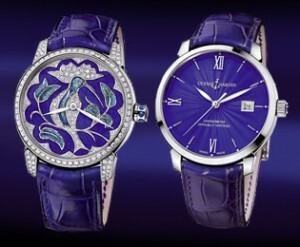 The first thing you will notice about this new collection by Ulysse Nardin of men’s and women’s watches is the color…purple. Perhaps an odd color for a watch and perhaps the company is taking risk on marketing this color to both men and women, but it does make this new collection quite unique. Inspiration for the men’s watch came from another collection by UN called the San Marco line and the now discontinued Ulysse I model. The men’s watch is made from either 18k white or rose gold and comes in a 40mm sized case. The dial has a lustrous polished shine which makes the leaf hands and hour markers really stand out. In the rose gold version, one can choose between a black or silvered dial and in the white gold version a classic Ulysse Nardin feature is included: the lustrous blue dial made from enamel and created using the painstaking “grand feu” technique. 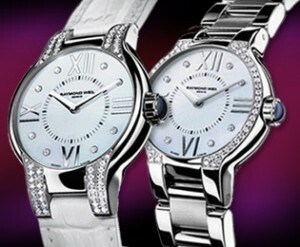 The women’s version of these new Classic watches is made from 18k white gold and measures 35mm in diameter. Both the bezel and lugs are set with rows of round, sparkling diamonds. This is the perfect setting for stunning kiln-fired dial which is also set with diamonds. The dials depict delicate birds with full plumage. The gorgeous color of the enamel perfectly matches the colored hand-sewn alligator leather strap. The final touch is white gold winding crowns that are accented by a row of blue sapphire cabochons. Both the men’s watches and women’s watches in this Classic collection feature self-winding mechanical movements. With the women’s model, only the time is shown, while the men’s version offers a sweep seconds function and a rapidly correctable date display. Both versions display fine decorative finishing and 22K gold centrally-mounted winding rotors through sapphire crystal exhibition windows in the caseback. 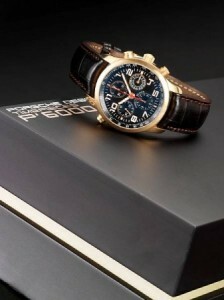 The power reserve of the UN-815 calibre that these luxury watches run on is approximately 42 hours. 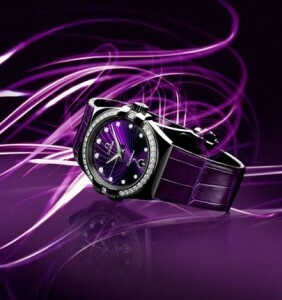 With its release of the Noemia collection, Raymond Weil brings its offerings of women’s luxury watches to new heights. The name Noemia is a tribute to Raymond Weil’s granddaughter which may explain why these are such unique, feminine and different watches than anything offered before by this Swiss brand. The Noemia timepieces feature large, round faces and the diamonds sparkle nicely against the stainless steel cases. The roundness of the cases creates soft, feminine curves and the diamonds give a sense of elegance. These watches come in two different sizes and with two different straps; you can choose between a 27 mm or 32 mm sized case and between a stainless steel bracelet that features a brushed center link and polished outer links or a white, saddle-stitched leather strap. You can also select how you would like the diamond settings to look; with a set bezel or with case lugs with two rows of stones. Both options are pictured here. All Raymond Weil women’s watches are classic and elegant and those from the Noemia collection are no exception. The hour markers are made up of four, large, polished Roman numerals and eight sparkling diamonds. The tapered and highly polished hour and minute hands add a complimentary stylish look. The gentle curve of the sapphire crystal adds another dimension of femininity to these women’s watches, while the blue cabochon crown gives them a sense of royalty. These watches are run by quartz movements. Raymond Weil’s motto is “independence is a state of mind” and the Noemia collection is a perfect example of how this independent-owned luxury watch brand continues to create stylish, well-crafted men’s and women’s watches. Why do luxury watch companies make watches that are hard to read and sometimes, actually impossible to read, making it so that you have no idea what time it is? I don’t really know the answer to that except my guess is that there is always room to impress and many times it’s more about the looks, the movement and the complications, than actually the telling of time. Also, there is always someone out there that wants what no one else has, or in this case, since there are only five of these women’s luxury watches being made, what only four other people can have. Made by Bertolucci, a watch brand who motto is “Mediterranean inspiration, Swiss craftsmanship,” the watch pictured here is called the Bertolucci Gioco, nicknamed the “Hypno” and comes in a limited edition of only five pieces, either in 18K rose or white gold. These are obviously beautiful designed, highly elegant, exclusive and yes, almost impossible to read; actually just looking at it makes me dizzy. The dials are swirling levels of gold layers that lead down to a mother or peal face. The case measures 42 by 49mm, a large size for a woman’s watch and is mutli-dimensional, which is why it’s so hard to read. 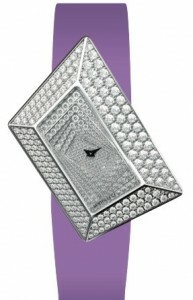 Bertolucci is aware of this and has made a luxury women’s watch that is meant to be worn as a piece of jewelry. The case holds 177 Wesselton cut diamonds equaling 3.85 carats; another version has diamonds on the dial as well as the case and the super high end version contains 527 diamonds covering the entire watch. Other luxury features about this watch include the small dauphine hands on the face, which are either gold or rhodium plated and the coated sapphire crystal with “Bertolucci” engraved on the lower edge. The watch comes with many different colored leather straps, a gold buckle that matches the crown and runs on a Swiss movement. Georges Edouard Piaget set up his first workshop in 1874 on his family’s farm in the Jura Mountains of Switzerland creating mechanical movements for already established luxury watch companies. In 1911 Piaget’s son took over the business and finally in 1943, the brand Piaget was created and the company started designing and producing its own watches. It didn’t take long for Piaget watches to become highly desired luxury timepieces, especially and specifically in the field of jewelry watches. In 1988 Piaget fell under what is now known as the Richemont Group and in 1990 released its first jewelry line called Possession. Then came the Limelight collection which was all about Hollywood glitz and glamour and which just had three new “secret” watches added to it. These new additions have some serious sparkle and are a perfect example of what jewelry watches are. Made from 18 karat white gold, with a bracelet crafted from five gold ribbons, and over 400 hundred different shaped diamonds, like pear, baguette and round cut, these women’s watches will take your breath away. The Piaget Limelight Exceptional Pieces watch, model number G0A34133, is called “secret” because the dial is revealed when the center of the cover is pressed. Another 78 diamonds surround the dial. From start to finish, this haute joaillerie jewelry watch takes over 870 hours to create, with 200 of these hours being dedicated to setting the approximately 57 carats of diamonds that adorn just the case and bracelet. In business for over 130 years, Piaget knows what those who seek high-end luxury watches and jewelry want. There are now eight collections of men’s watches and women’s watches, which represent the evolution and continued creativity that Piaget was founded on. Any of these collections are the perfect example of what a jewelry watch is.